“Fun, functional and a bit funky: That’s Sparkbeats.” This is the mission statement of the team at a company that wants to sell you a new iPhone case. It’s catchy but not terribly original. Luckily, their design is. Sparkbeats takes the LED light in your iPhone, the one typically used for a flashlight or camera flash, and ‘bends’ it. 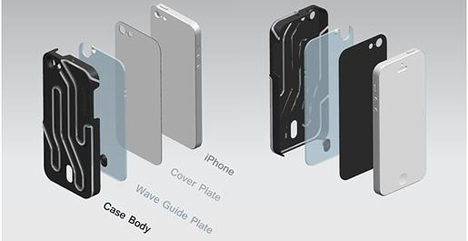 According to the company website, “The iPhone’s LED spot light will convert into a plan light by the light wave guide plate. When the light goes into the wave guide plate, the light will reflected internally to create a plan light and light up the whole case.” Yes, that’s a very overly-complicated explanation, which is probably why there’s a video. The accompanying app lets you manipulate Sparkbeats in a couple fun and functional ways. It can be a replacement for the grating vibrate setting as a call or text notification. On the fun side, it can be synced to your music, creating light patterns to coincide. 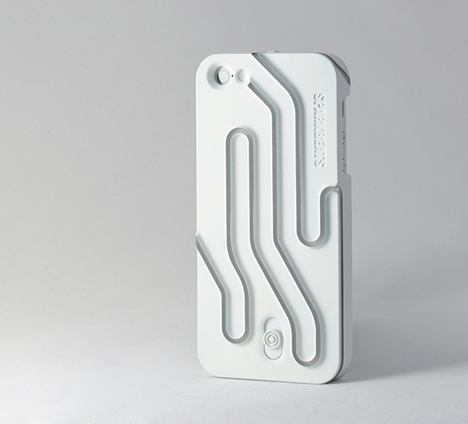 The case is made out of a high grade ABS, so it offers plenty of protection. Sparkbeats is currently in Kickstarter phase. See more in Phones & Mobile or under Gadgets. January, 2014.